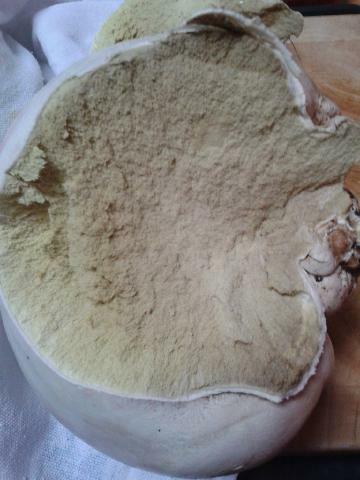 Posted: Sat Sep 06, 14 10:44 am Post subject: Is this puffball too old to eat? And if it IS too old, can I dump it at my allotment and hope for little baby puffballs next year? That is far far to old. Should be a nice white all the way through. Even yellow is too old. do you need to add a hedgehog to that list? I keep reading the title as pitbull. Old dogs would go in the slow cooker I think?